1) Mother Nature made it very clear she is “in-charge”. 2) I found leftover corn-on-the-cob in the fridge. 3) When it is September 13th and 45 degrees outside, I have a need to make a pot of soup and enjoy the sunshine because the temperature could be worse! 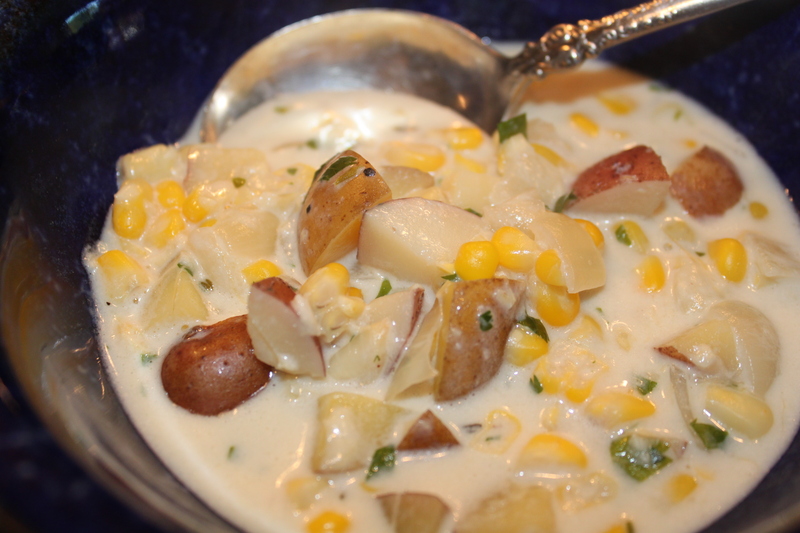 So here is my Corn Chowder recipe I put together with the leftover corn. The perfect lunch or dinner starter. Heat butter and 1 tablespoons olive oil in medium pot over medium-high heat. 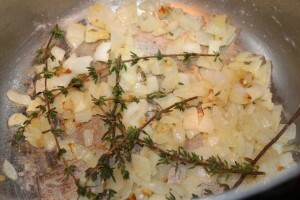 Add onion, garlic and thyme sprigs; sauté until vegetables are soft, about 8-10 minutes. Dust with flour and stir to coat well; sauté another 30 seconds. Add broth, increase heat to high and bring to boil. Reduce heat to medium and simmer until potatoes are tender. 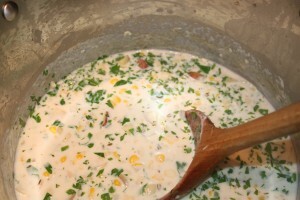 Add corn to soup and season with salt in pepper. Simmer about 10 minutes or until corn is tender. Stir in parsley and add a splash of remainder of olive oil. Add more chicken broth if you prefer a thinner broth. Serve hot. Keeps in refrigerator up to 5 days.